Extreame Savings Item! 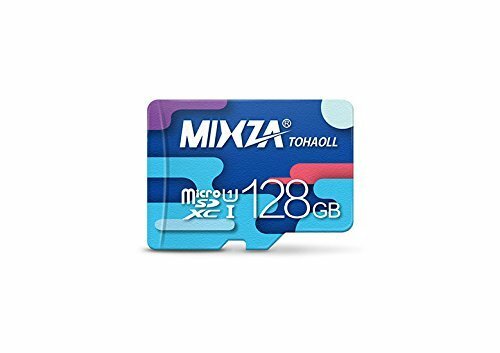 Save 43% on the Performance Grade 128GB Alcatel MicroSDXC Card by MIXZA is Pro-Speed, Heat & Cold Resistant, and built for Lifetime of Constant Use! (UHS-I/3.0/80MB/s) by MIXZA at All Company Mobiles. Hurry! Limited time offer. Offer valid only while supplies last. Performance Grade 128GB Alcatel MicroSDXC Card by MIXZA is Pro-Speed, Heat & Cold Resistant, and built for Lifetime of Constant Use! This Factory Direct product is from the actual manufacturer. Authentic & original quality is how we deliver you a Customized 100% quality item, at a FRACTION of the retail cost! Get Ultimate Quality and Speed for your Alcatel! The best quality, speed, and control really makes a difference! Most receive longer battery life, faster pictures and video abilities, plus more! SPECIFICATIONS: UHS-1, Class 10, 500x-750x Read Speeds, 80MB/s Minimum Read speed and 15-40MB/s Write Speeds. If you have any questions about this product by MIXZA, contact us by completing and submitting the form below. If you are looking for a specif part number, please include it with your message.